One of my favorite magazine columns ever is US’s “Stars—They’re Just Like Us!” It’s seriously mundane stuff like “They text! They carry their kids! They cross streets!” And every one has an exclamation point after it. So in homage to that genius, I’m naming this column after it to show how celebs can give you an idea about what wines are like. Kicking it off is an icon for the ages, Madonna. She’s a chameleon! She’s toured the world! She’s got some muscle and can have just enough of an acid tongue when needed! All in all, she’s just like Chardonnay! Chardonnay is popular throughout the world, very easy to grow and has fruit notes of apples and pears. It’s made in a million different styles, from complex and layered in Burgundy to steely and thinner in Chablis to creamy and buttery in California. It’s actually the #1 varietal in America, where you’ve probably had those really buttery versions (people call them “oaky” but they actually age Chardonnay in oak in Burgundy too, it just comes out differently for a bunch of reasons). I’d say Madonna’s kind of more the Burgundy style, less creamy and more complex. For a Cali one, think more Britney Spears. Pop stars—they’re just like Chardonnay! 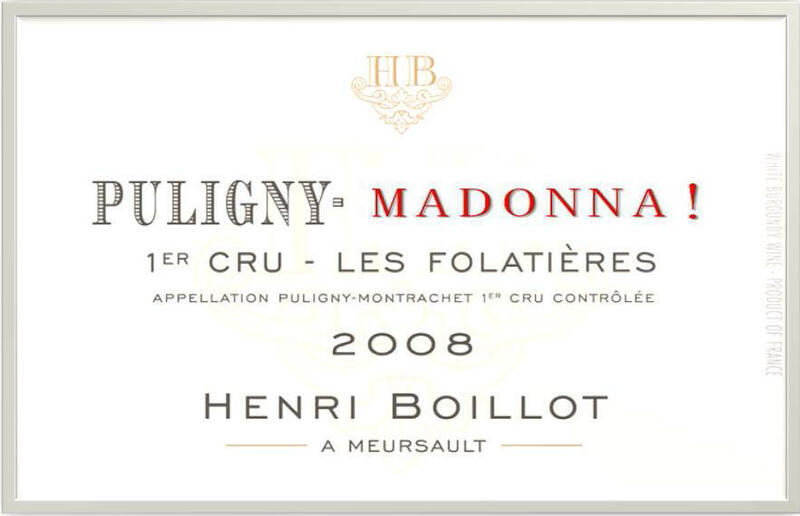 Tags: chardonnay burgundy chablis madonna britney spears. Bookmark the permalink.